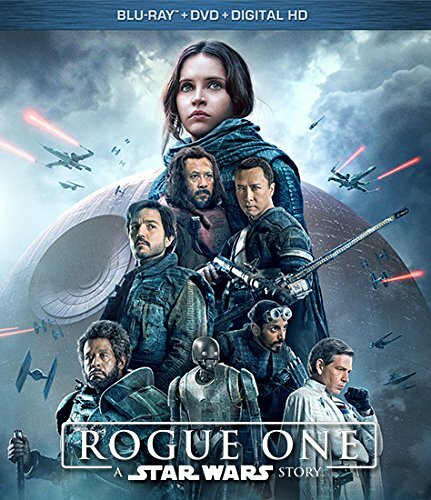 Lucasfilm’s “Rogue One: A Star Wars Story,” the first of the Star Wars standalone films, has established its place within the Star Wars universe and the hearts of moviegoers, becoming the seventh highest-grossing film of all time in the U.S. Fans can own the epic action-adventure thriller — nominated for two Academy Awards® — early on Digital HD and Disney Movies Anywhere on March 24, and on Blu-ray™ Combo Pack, DVD and On-Demand on April 4. This entry was posted on Friday, March 17th, 2017 at 4:27 pm	and is filed under Film, News. You can follow any responses to this entry through the RSS 2.0 feed. You can skip to the end and leave a response. Pinging is currently not allowed. « Top 10 Ryan Gosling Scenes in Movies! Wake up lil snoozy! Smell the smelling salts!